Little yellow bits at bottom that don't dissolve which taste weird (been in all my samples). Other than that taste is good, little bit sweet so just make sure to use like 250ml of water. Finally, the performance is incredible, best pre I've ever used, remember that you're gonna feel the beta alanine tingles though haha! Great stuff definitely gave me a boost. The only downside was the taste i tried they rainbow candy very sweet tasting needed plenty of ice to drink it. Had this as a free sample, lovely taste. 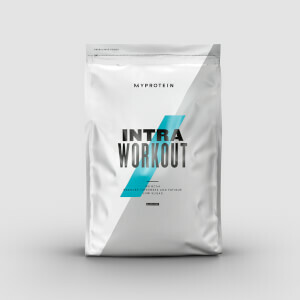 Gave me a real boost for a 2 hour gym session... would buy product after testing sample.... often find not keen on favours but this was a nice taste. I previously used to purchase the MyPre but stopped doing so after a while of using it and not thinking it was effective. I decided to give this one a go and it was a lot better. The taste was so much better and mixed really easily. I would recommened this product. 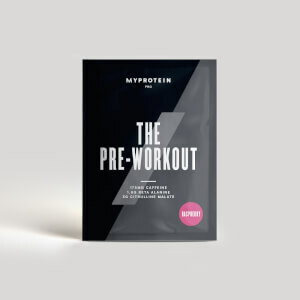 I'd never taken pre-workout before but I've been struggling with having no energy to workout after a long day at work so I decided to try the new one. I bought a sample pack, mixed it up as instructed and drank it before my workout. I felt tingly almost immediately but then felt very sick (and was sick). It may be that I'm sensitive to it but in case you're thinking of buying it - I'd consider it to be quite strong (which is probably a good thing for most people?). I did however manage to workout afterwards and it did make a real difference. I always assumed these things were a bit of a fad but this definitely works... maybe I'll try half a sachet next time! It definitely hasn't put me off. It tasted good and mixed up well. Simply put, it gets to work fast and lasts for hours. Obviously it peaks for an hour or so after consumption, but there is a nice steady drop off. No crash with this pre, it literally carries you for hours after you take it. Everything you are ever going to want from a Pre-workout, unreal pump, unreal focus and unreal session. The delayed release caffeine is an absolute lifesaver when used after a hard days work, with no come down. In my opinion, the best pre-workout on the marker. Great taste and gets you motivated to work out. However I was slightly disappointed and the item arrived with a hole in the packed. 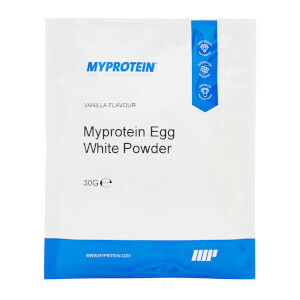 Neither of the samples I have tried of the my protein pre workout samples have had that much effect on me but I am I heavy caffeine user so I would suggest if your used to having a lot of caffeine then your are going to need more than one scoop to feel a real buzz. Didn’t get any tingly / itchy sensations from this pre workout. The blue raspberry flavour is amazing top quality. The sour gummy is decent but has nothing on the blue raspberry.